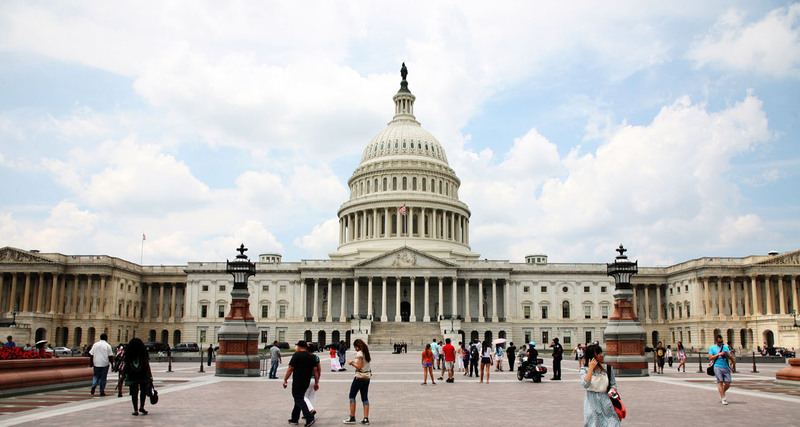 In 1793, the cornerstone to the Capitol Building was laid by, among others, George Washington. The Senate wing was completed in 1800 and the House wing was completed in 1811. In 1814, not long after the completion of both wings, the Capitol was partially burned by the British. Reconstruction began the following year. By 1850, it became clear that the Capitol could not accommodate the growing number of legislators from the newly admitted states. Two new wings were added – a new chamber for the House of Representatives on the south side, and a new chamber for the Senate on the north. 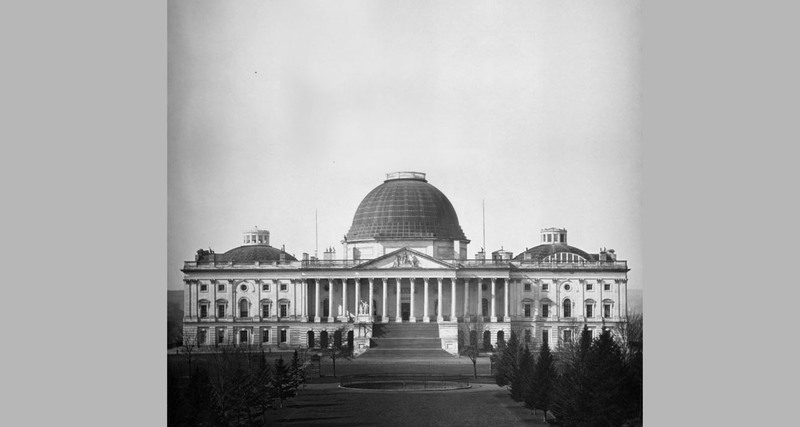 The 1850 expansion more than doubled the length of the Capitol, dwarfing the original, timber-framed 1818 dome. In 1855, the decision was made to tear it down and replace it with the “wedding-cake style” cast-iron dome that stands today. The new dome stood three times the height of the original dome and was 100 feet in diameter. The weight of the cast iron for the dome is estimated to be nearly 10,000,000 pounds.